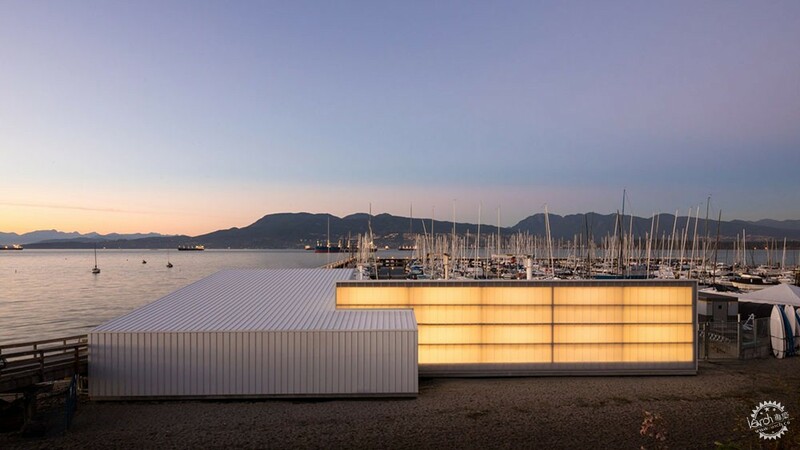 Vancouver firm Michael Green Architecture has built a boathouse for storing racing shells and sails and monitoring maritime activity, with translucent walls and garage doors. 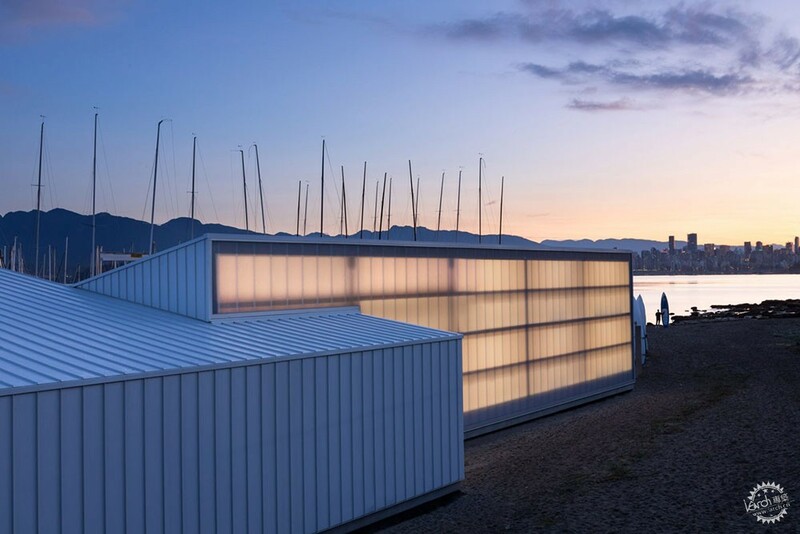 The Dock Building was built for the Royal Vancouver Yacht Club on a modest budget by the local architecture studio. The private recreational facility is formed of two connected masses, joined to create an irregular rectangular shape and with roofs that slope in opposite directions. 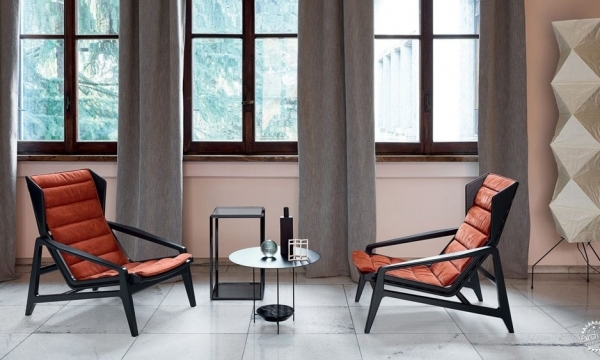 Industrial materials were used for the construction and relate to those commonly found in nautical design. 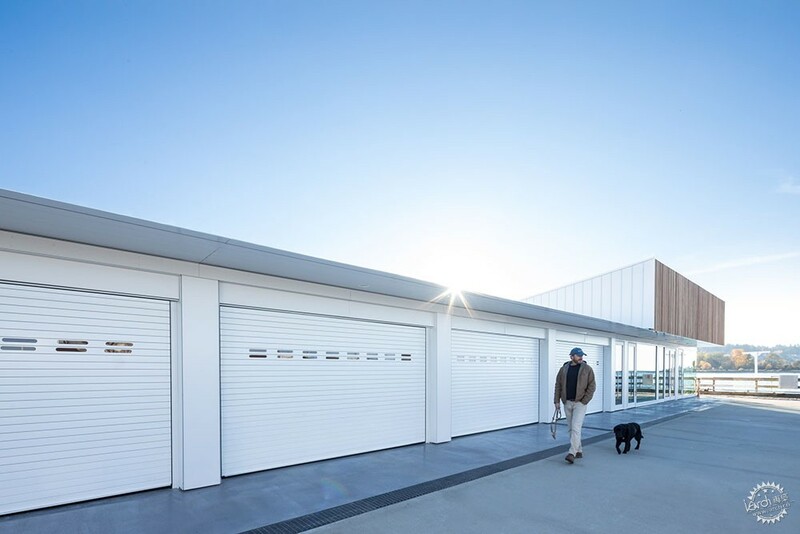 A majority of the facility is wrapped in white standing-seam panels, creating a uniform aesthetic. On one side is a translucent polycarbonate wall, which brings sunlight in during the daytime and glows at night. 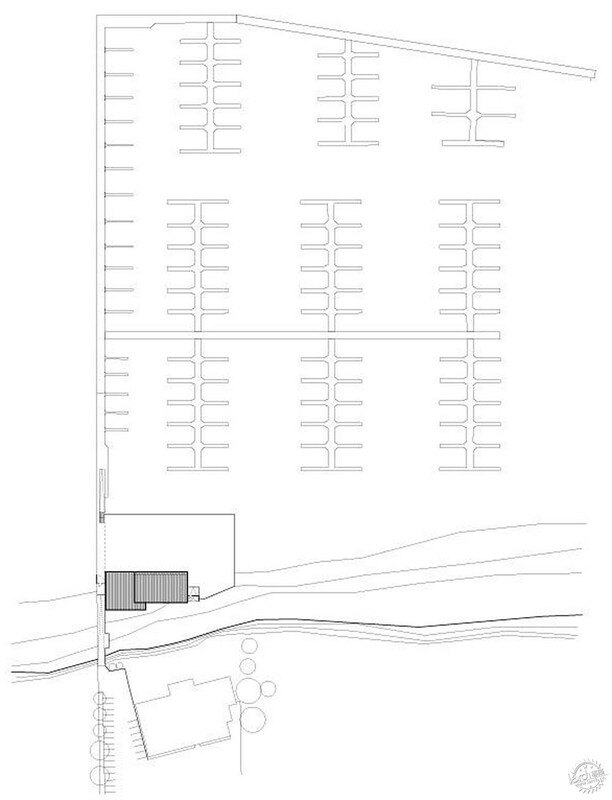 On the other, garage doors open up to the waterfront, allowing boats to be brought in and out of the water more easily. "The massing is simple," said the firm. "Two intersecting wedge volumes mirror each other to create a lantern to the sea and a lantern to the land." 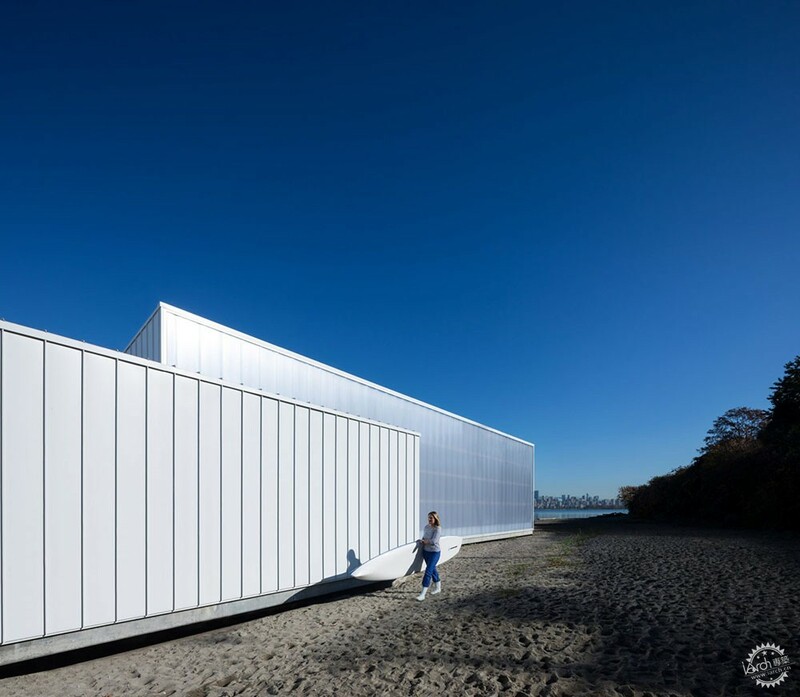 The Dock Building is situated on Vancouver's Jericho Beach, an area known for its charming family homes and prime sandy beach overlooking the city's mountains. Because the building sits close to the waterfront, providing a strong structural foundation was a major design challenge. 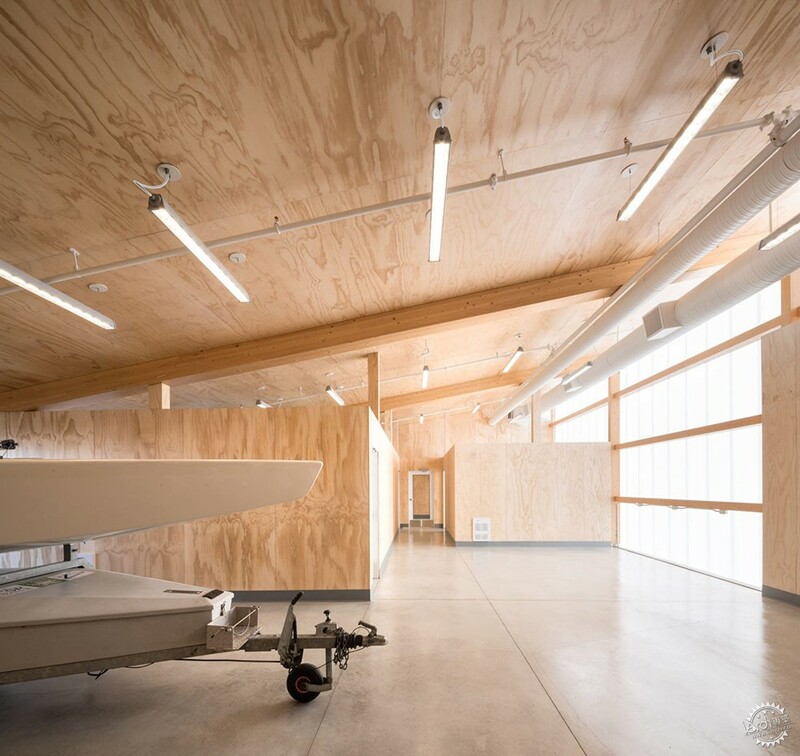 To construct the facility, a series of glulam engineered wood posts set deep into the ground, while timber beams infill decking and walls. 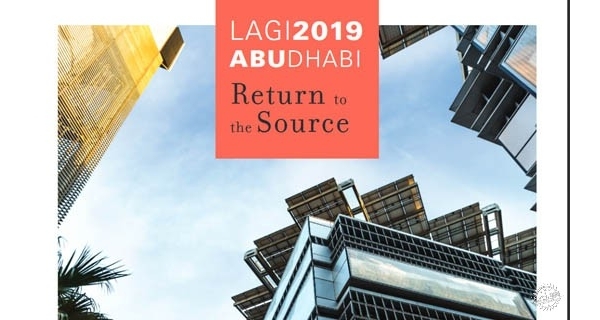 "Almost half of the project budget went to the foundation and piles, leaving the design team with the challenge of meeting the project's functional needs while delivering something more meaningful to the community," said the firm. 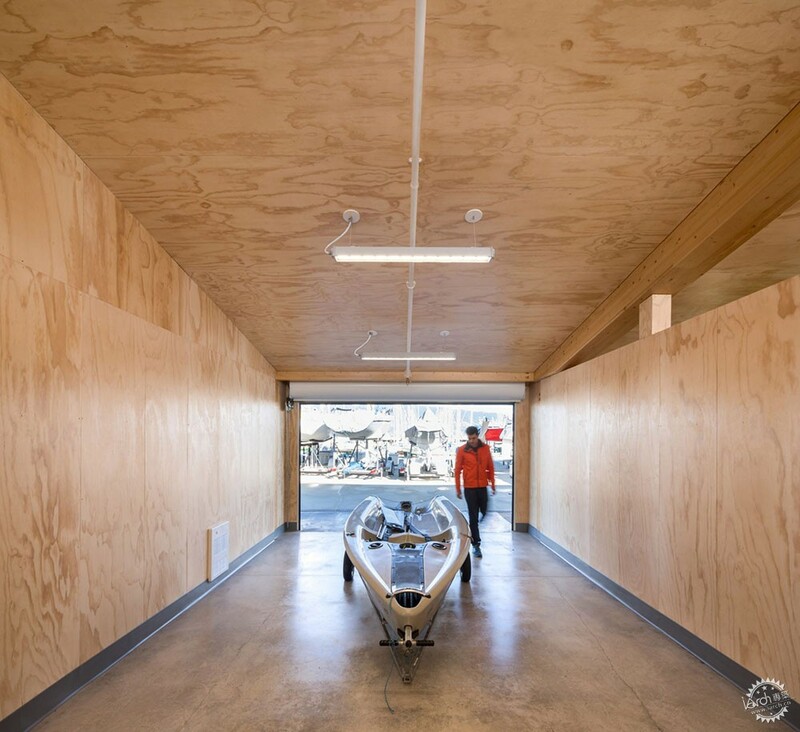 Interiors surfaces are mostly plywood, which is a common material used in sail lofts because it is hard-wearing, and also easily replaceable. Concrete floors are durable to moisture and heavy traffic. 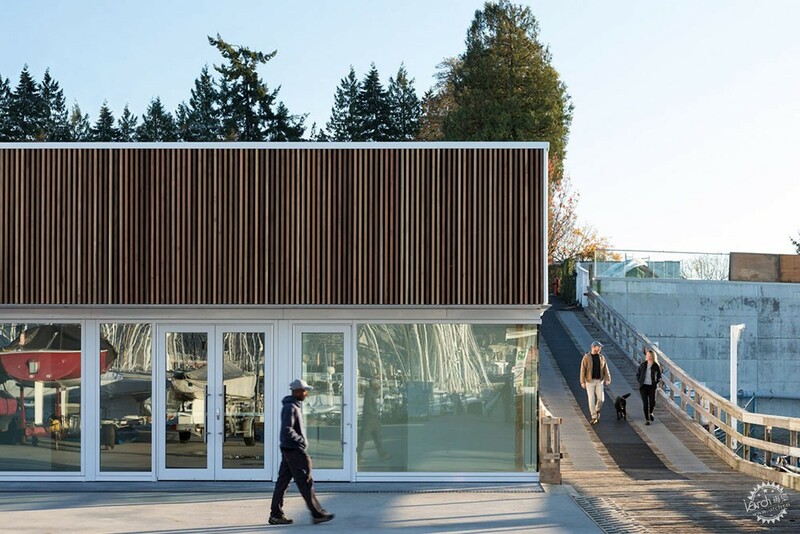 "The project's practical working needs, very modest budget, and prominent siting required a simple solution that honoured the cannery and industrial heritage of waterfront buildings that were once found on the site a half-century before," said Michael Green Architecture. Washrooms, showers and offices are all included in the building. 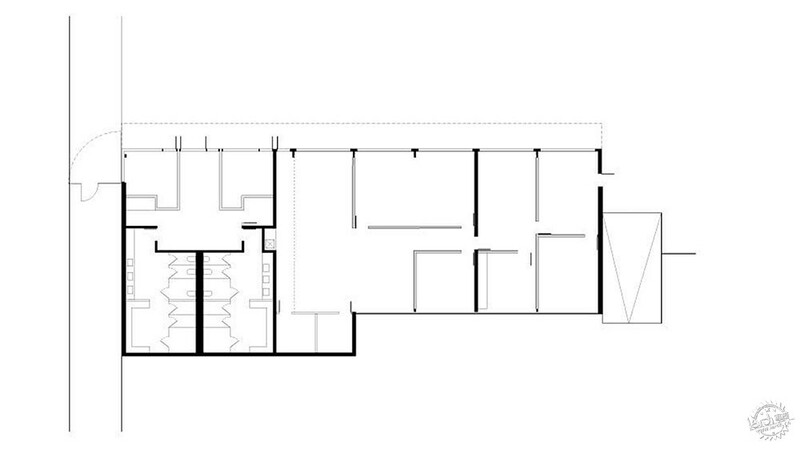 A locker room with black accents contrasts with overall lightness of the project. 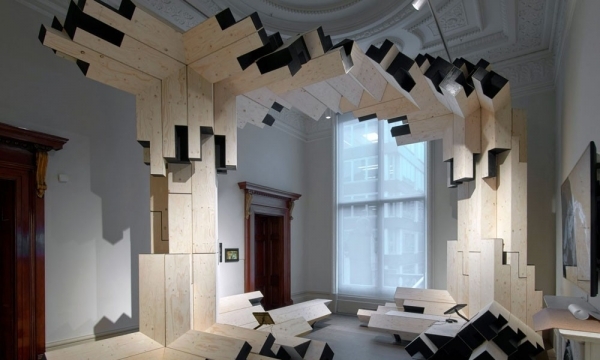 Additional rooms serve as instruction spaces and for hosting workshops. 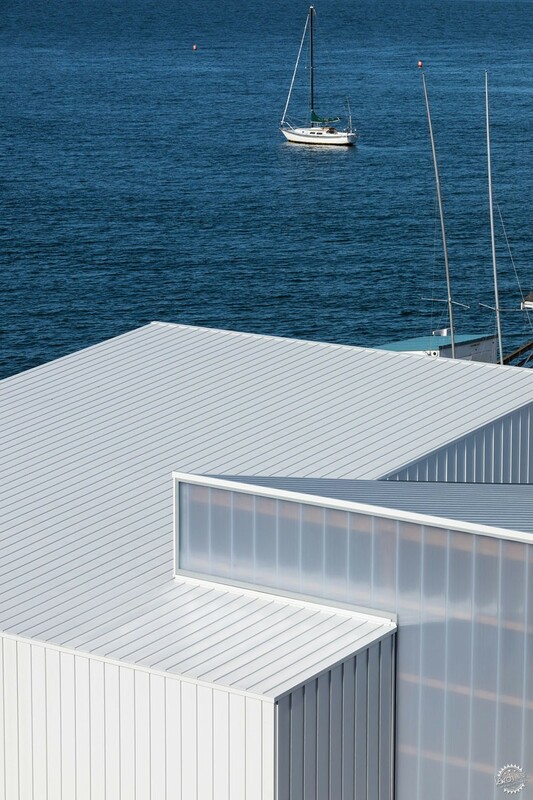 Windows enclose offices for visibility when managing the docks and waterfront activity. A wood screen above the offices hides the mechanical systems, while a knife-edge gutter provides an overhang for the doors. 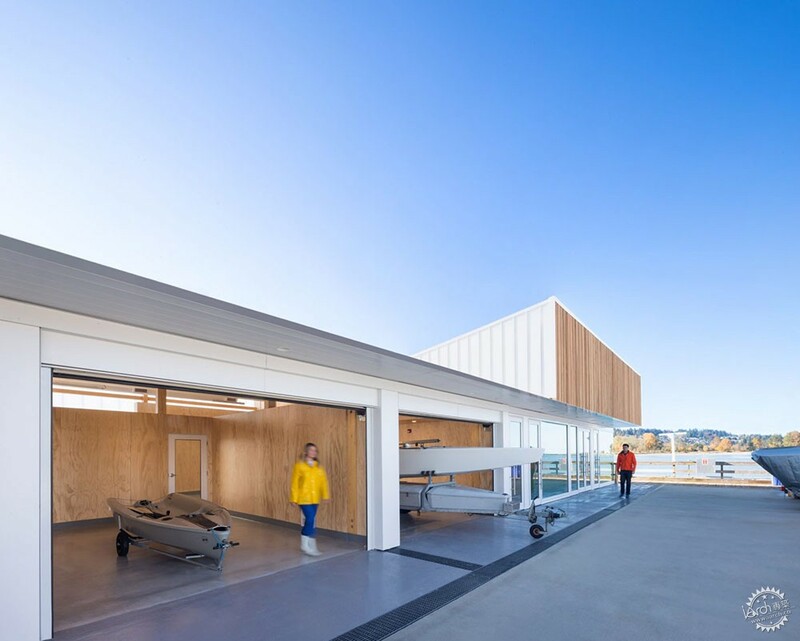 Other examples of boathouses include a blackened-timber volume atop a large deck in Ontario by Weiss Architecture, a restored gabled boathouse with camp beds in Norway by Snøhetta, and an angular roofed project designed to capture the rhythmic movement of a rowers by Studio Gang Architects.